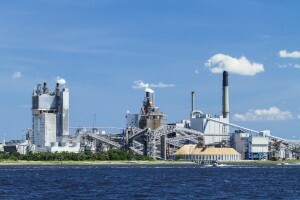 Is Florida Air Pollution Impacting Your Health? There are a few ways to identify if Florida air pollution is making you or family sick. Air pollution is on the rise in all parts of the world as populations increase alongside manufacturing, automobiles and other sources of pollutants. The Florida Department of Health works hard to keep air pollution to a minimum. The State constantly tracks what is going on in the air to ensure they are on top of any significant changes in air quality. Air quality throughout Florida is considered good to moderate, which is actually the best you can score on the official AQI scale. Just because the air in Florida is cleaner than many other locations doesn’t mean we are free from all health-related issues concerning air pollution. How Bad Is Florida’s Air Pollution? There are certain parts of Florida that have worse issues with air pollution than others. There are also certain seasons when air pollution is known to increase, generally around April. Florida’s cool weather and summer thunderstorms are related to ground-level ozone, or smog. This smog is spurred by car emissions, power plants and so forth. When these sources are touched by sunlight they become visible and are especially harmful to children, the elderly, and anyone with underlying respiratory issues. Florida generally only experiences a couple days a year with unhealthy air pollution levels, typically spurred forth from hot and dry weather common between April and June. When the winds die down during this part of the year the pollutants become trapped in the area, as if locked in an invisible bubble. During other parts of the year the wind helps disperse and reduce air pollutants. If air quality is particularly poor on a certain day it is recommended for anyone with health issues to stay inside as much as possible. Depending on where you live air pollution varies within the state. For instance, if you open your window and see a busy street or freeway air pollution will be worse than if you live in a more remote part of town. The more plants and trees outside your window also impacts exposure. It’s not just man-made pollutants that we have to fear. Pollen and mold are also known pollutants that can spark allergies and serious health problems. Indoor pollutants can be more dangerous than outdoor pollutants. Living in a house that has mold issues or is infested with rats can amp up indoor pollutants and lead to the development of health issues such as asthma, especially in children. What Does Air Pollution Do To The Body? Rapid ageing of lungs and eventual loss of lung capacity. The development of asthma, emphysema, bronchitis and even cancer. Children under 14-years-old whose delicate lungs are still developing. Increased stress to the heart and lungs, both needed to supply the body with oxygen. Damage to lungs, even after coughing or a sore throat dissipates. The development of emphysema, bronchitis or asthma. If you are experiencing difficulty breathing or any of the symptoms outlined above visit Urgent Medical Center today.